For Web designing company in Chandigarh there are HTML and PHP programming are two completely different animals. They don’t fall into the same class of programming at all in the. Both are web-based programming languages intended for use for hand-coded websites by web designing companies. Out of the two, PHP is the harder of them. HTML – What is It? HTML is used to provide markup for content and structure. Therefore, if a section of content is going to be a self-contained paragraph, it will have an opening paragraph tag and a closing paragraph tag before and after it, respectively. This communicates to the web browser, “Hey! This here is a paragraph…”. In that sense, the content is ‘marked up’ to communicate to browsers what each bit of content signifies. Similarly, a bolded word will get tags before and after it to confirm it needs this bolding emphasis on the page. HTML works on all operating systems and platforms. No one owns HTML or has copyright over it. HTML is also static, meaning that a fixed piece of marked up content is sent to a web browser to read, interpret and display on the screen. The HTML doesn’t itself change. It’s like a page of a book in your hand. It’s fixed. PHP – What is It? PHP is a true programming language. It runs on the server side at the web server. A PHP script – a file – gets executes when a web browser requests that page. When the script is run, the PHP engine runs through each command within the script and carries out the requested actions. Actions might be to make a connection to database at the data center to retrieve information about the website visitor. It might be to present the latest special offer, but loop through five different offers and randomly select which one is shown. A more sophisticated use of PHP and databases might keep a record of which special offers have already been shown to a visitor. They’re identified uniquely based on the cookie text file on their computer and with this system, the same offer isn’t shown more than once. PHP must be installed on the web server to be understood. It’s a mainstay of Linux servers – Microsoft servers mostly use ASP and ASP.Net. Commonly, PHP is paired with MySQL database server, though that’s only one possible configuration. Alternatives to PHP include Ruby on Rails, ASP, ASP.Net and other server-side languages. What is HTML and PHP Used For with best web designing company? HTML is used to mark up information for a web page. To expand on that, cascading style sheets (CSS) is also commonly used in concert with HTML to dictate how the markup should be presented. i.e. what font face, font size, and font color should a heading use? HTML confirms which section is a heading and CSS dictates how is should be presented for appearance sake. PHP is used to create dynamic web pages. This means, unlike HTML which is passed to a web browser and shown on the screen once it’s been prettied up using CSS, PHP runs through a script, takes whatever actions are required on the server side and then outputs some HTML (and maybe CSS) for the web browser to display. For instance, a PHP page may confirm the order placed, charge the credit card and then output to the web browser whether the billing was successful. HTML cannot connect to a payment processor or pass the information across to bill the credit card. Nor can it know if the billing was successful. PHP is needed for these more advanced features required by websites. How Web Design and Development Works Positively On SEO? 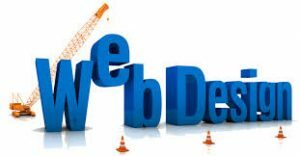 Adding website design to your advertising endeavors is essential due to the stupendous effect that it has on your online existence. Awesome website architecture proves to be highly beneficial in the long run. It additionally makes it less demanding for clients and search engines such as Google to explore your webpage. What is The Role of Web Play and Design? Your organization web pages can stay focused on incorporating different components that will adequately enhance your web rankings. Watchwords, known mainly as keywords assume an imperative part of SEO, as well. They reflect what your business brings to the table and characterize your image. Utilising catchphrases suitably is a vital method to propel your SEO endeavors. When you actualize website architecture and incorporate the SEO factors, it ought to be on a long haul premise. Stylish plans are brief; however, your online presence along with its visibility and unique marking will leave an enduring impression on the existing customers and potential clients. While focusing on making an outwardly engaging site, keep in mind to outline a site that will add to higher search engine rankings. Before utilizing any catchphrases, ensure you do an exhaustive investigation of keywords. To receive the rewards of a good website for SEO development, ensure that you assess your watchwords or keywords prior to their usage. How to Attract Potential Clients? On the chances that they learn or find what they require, clients will undoubtedly return. Search engines like Google have assumptions about site route, as well. The absence of appropriate web improvement can negatively affect your web search rankings on the grounds that your webpage won’t be web index friendly.Hp Sangha SEO Company provide best web solutions which is search engine friendly. Clients will probably rapidly exit moderate or obsolete looking WebPages. Investing energy and creating the appearance and feel of your site is the very basic step. Your site ought to be planned in a way that makes it simple to utilize, as well. Guests ought to have the capacity to discover what they are searching for easily. Ensure exploring your site is convenient and your guests will remain longer. Abstain from filling pages with inordinate substance and keep them mess free by leaving enough void area. A cutting edge, refreshing and unique site will draw in more guests and rank well. An SEO master can enable you to guarantee that your site has viable SEO. However, try not to be too simplistic as it can have adverse effects as well. The patterns throughout the most recent couple of years have supported enormous simplicity over the overlay sliders and moderate website composition strategies. While this may give a cutting edge look and feel, this can at times be an impediment to positioning on page one of search engines. Since Google and other search engines can just read what is on your site, these outline patterns can make it hard to add required substance to the most essential page on your site. For detail information of web designing impact on Search engine optimization and ranking you check http://www.hpsangha.com/seo-company-in-kolkata SEO expert guide. This doesn’t imply that a site with not very many words can’t rank higher; it just implies that it requires a considerable measure of other SEO positioning components to conquer this. Web design and development is a coveted skill that can fetch you high pay packages with minimal efforts and investments. Unlike conventional educational courses like engineering, law, and medicine that require years of practice and hands-on experience, web designing can be learned within a few months. Thousands of online and offline training centers across the globe provide web design courses. But most of the web designing Expert recommend http://cimpro.in/web-designing-course-in-chandigarh web designing course for better future.However, only a handful of these training centers fetch you good jobs. So, how do you select the right institute for a shining career? Here, are 10 pointers, which will help you make a sound decision. Strong Portfolio – A good web design training institute will host a strong portfolio of working with the best websites in the world. The teachers of this vocational course should have the necessary exposure as well as the experience of working in the industry to provide real-life examples to common problem statements faced by a working professional. List of Graduates and Alumni – Look for a list of graduates to see if a popular web design specialist has completed a course here. You can also get in touch with the graduates on Facebook or LinkedIn to find out more about the teaching methods of the institute. Comprehensive Curriculum – Apart from fostering a creative and novel way to approach a complicated problem statement, the institute should lay emphasis on theoretical knowledge too. Look for the content of the courses offered by the institute and pick the right one suited to your desired job role. Options to Learn Coding – The best institutes will focus on providing training for more than one type of web development coding practices. It will also host a team of career and student counselor, which can guide you for the selection of the right course. Exposure to Internet Marketing – Internet marketing and web design go hand in hand. Therefore, the institute should also host a course or a few classes for internet marketing to help you understand the intricacies of attracting an audience. CMS Classes – The institute should also provide necessary training to operate popular Content Management System (CMS) platforms like WordPress. Access to Study Materials – Do not forget to inquire about the study materials that you get for the course while enrolling. Placement Records – Look for institutes with good placement records to ensure that you get a good chance at being hired by the right companies. Partnerships and Alliances – The top institutes will have relationships with marketing agencies and web development companies that hire the best students in its classes. The coveted skills of a web designer will function as a great highlight in your resume. Therefore, it is a good idea to search for a comprehensive short-term course to hone your skills today.